A camera aboard one of NASA’s twin Gravity Recovery And Interior Laboratory (GRAIL) lunar spacecraft has returned its first unique view of the far side of the moon. MoonKAM, or Moon Knowledge Acquired by Middle school students, will be used by students nationwide to select lunar images for study. GRAIL consists of two identical spacecraft, recently named Ebb and Flow, each of which is equipped with a MoonKAM. The images were taken as part of a test of Ebb’s MoonKAM on Jan. 19. The GRAIL project plans to test the MoonKAM aboard Flow at a later date. 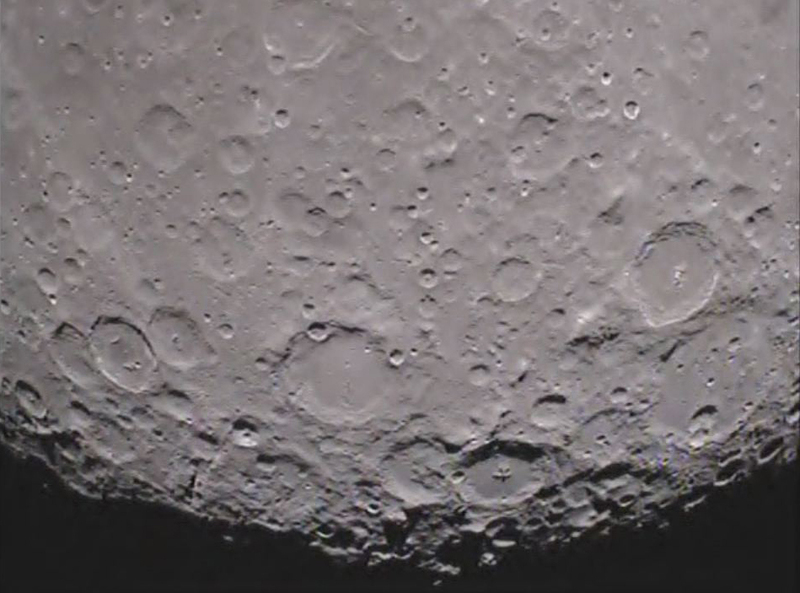 The new video is about 30 seconds long and shows the far side of the moon as a stark, scarred landscape. Dozens of craters are visible in the field of view. As the video begins, the vast impact basin of Mare Orientale, which is 560 miles (900 kilometers) wide and straddles the near and far sides, is clearly visible in the lower third of the frame, according to a NASA description. To the left of the middle is the Drygalski crater, a 93-mile-wide (149 kilometer) basin that stands out because of the star-shaped formation in its center. The twin spacecraft successfully achieved lunar orbit this past New Year’s Eve and New Year’s Day. Previously named GRAIL-A and GRAIL-B, the washing machine-sized spacecraft received their new names from fourth graders at the Emily Dickinson Elementary School in Bozeman, Mont., following a nationwide student naming contest.